Prevent bronchial issues with balaclava designed with a mouth section of copper wire which heats up the inhaled air before entering the lungs. 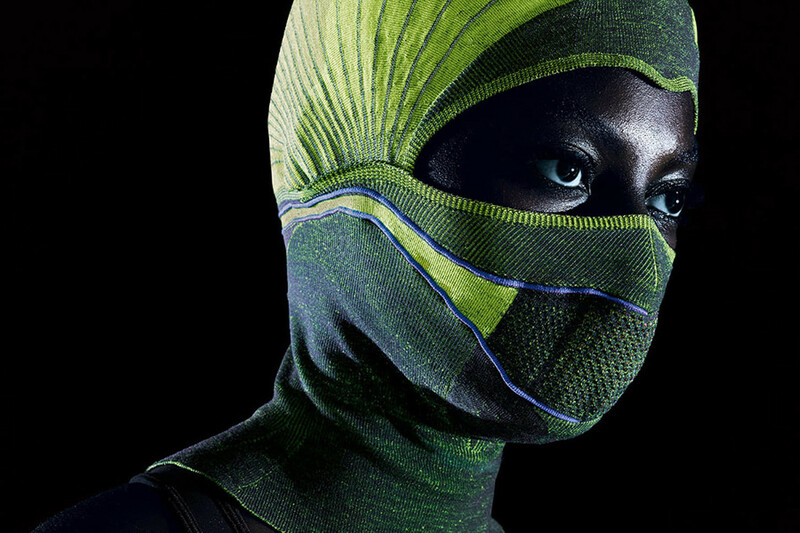 When you think of the word balaclava, it does not really conjure up the words ‘fashionable’ and ‘stylish’ but researchers from Nottingham Trent University are hoping that their smart balaclava might change all that. Smart textiles are a global trend that, in my opinion, really gained momentum in 2016. As 2017 approaches, we are super excited to see Stoll playing their part in changing the game with their CMS ADF technology. Inspired by industry insiders and educational institutions, Stoll has been working with leading scientists and tech companies from different disciplines. By taking the traditional fabric construction to another level, they have opened up the textile industry to a whole new world of possibilities in performance knitwear. 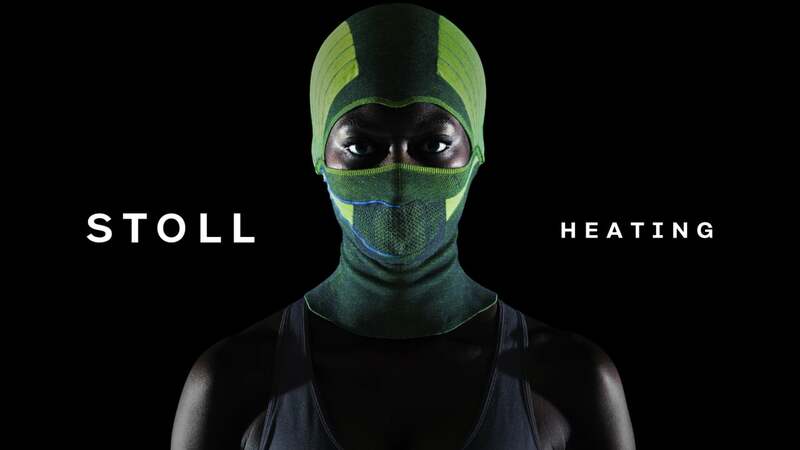 From heat and moisture control, to compression and 3D pre-shaping, Stoll are boosting the development potential of performance knits even further by embedding electrical heating elements, NFC chips and photovoltaic cells into knit structures. Taking a closer look we learnt that the main feature, heating, is powered by a small cell battery strategically placed at the back of the head accessory. The battery plays a part in the function of the heated mesh structure that has been made of electric-conductive yarn. Located at the front of the balaclava, it goes over the mouth and heats up the oxygen as the wearer breathes. When it comes down to how it all works, the balaclava is powered up when the battery is inserted. Working on low power, the electric-conductive yarns provide a constant level of warmth so that the wearer only breathes in warm air. Among other great features, we are happy to share that the balaclava has also been designed to help reduce the risk of the wearer contracting illnesses related to cold weather. The fully washable fabric features 3D-knitted pre-shape qualities for a more comfortable fit.